Today’s announcement of Carbon’s IP Exchange portal provides evidence of the growing importance of the semiconductor IP design-manufacturing chain. Neifert describes the process as straight-forward: a designer logs into the portal, chooses the IP of interest and configures the block with vendor supported parameters. IP Exchange then automatically compiles a virtual model for that IP block and makes it available for download. The model is retained on site for use by other team members or for later reconfiguration. Both of these front-end tools – Carbon’s IP Exchange and Synopsys’s TLMCentral – are complementary with the Cadence’s Chipestimate.com (CE) site. Using designer selected IP, CE’s estimation tools provide trade-off analysis for a variety of backend effects, such as power consumption, die size and even cost. But the CE tools are also used early in the design process where system-wide architectural power and performance trade-offs are examined. All of these IP portals strengthen the ability of System-on-Chip (SoC) designers to develop and integrate third-party blocks into ever complex designs. The recent introductions of front-end specific IP tools are complementary to existing architectural and back-end offerings. Together, these tool suites re-enforce the growing importance of a healthy IP ecosystem in the design of today’s semiconductor chips. Apple continues to reduce system costs through customized chip design via IP integration and software tailoring, not through traditional cost per gate. No one doubts the intrinsic value of design reuse via third party semiconductor intellectual property (IP). Incorporating IP of known quality into a chip design allows companies to concentrate on their core design competencies while adding all the other functionality required for today’s complex System-on-Chip (SoC) integrated circuits. Large ecosystems of third party IP suppliers exist to fill this need within a royalty-based business model. A large company can gain additional advantages over the royalty-based model through outright ownership of critical IP. Acquisition of IP allows a company to customized the IP to meet specific design needs or processes, e.g., such as low-power. Further, acquisitions give a company access to valuable technical IP in the form of engineers and process professionals. Finally, acquisitions may afford a strategic advantage to a company, allowing them to limit competition to key IP technology. In practice, large companies follow both approaches to varying degrees. For example, ARM acquires IP companies as necessary but focuses much of its energy on building and supporting the third-party ecosystem. Recent news shows that Apple follows the same approach of customizing its design chain through the IP acquisition. 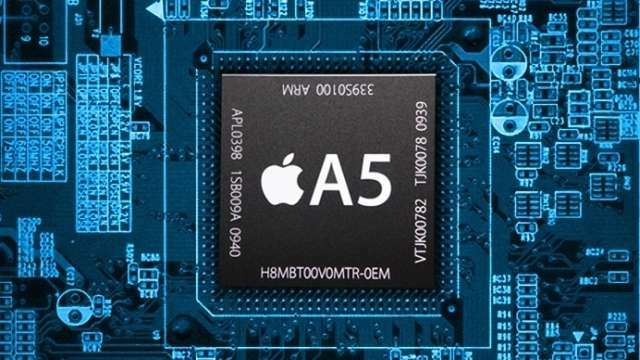 Apple’s recent purchase of Anobit adds memory controller expertise to the company’s existing low-power microcontroller (PA Semi) and DSP (Integrity) portfolios. This tight coupling between chip customization and software is replacing processor performance as the critical design driver. While this realization is nothing new, the technical reality continues to play out in a shift to subsystem rather than component IP development. Augmenting this shift to subsystem IP are the business realities of a slow global economic recovery and the very large cash reserves of many tech companies. All of which suggests that IP-based acquisitions will increase in the near future. Time Cloak for Digital Logic? Time cloaking has been demonstrated using light waves. What might that mean for particle models, as in IC applications? Here’s a mental exercise for circuit designers. It evolves the application of a time cloak to electron particles in a digital circuit. But first, a bit of background information might help. A team of physicists at Cornell University created a time gap by briefly bending the speed of light around an event – not an object. The experiment involved changing the speeds of different light waves. The gap lasted only 50 trillionths of a second. A scaled up version of this demonstration shows an art thief walking into a museum to steal a painting without setting off laser beam alarms or even showing up on surveillance cameras. The time gap was demonstrated through the use of light waves. But quantum phenomena can be modeled as either waves or particles. How would a time cloak work in a particle representation? The key to the Cornell experiment was the changing speed of different wavelengths of light. A corresponding particle representation might involve changing the speed of electron “particles.” But electron motion is at best a statistical measurement, if one applies Heisenberg’s uncertain prediction for momentum and position. Before exploring this challenge further, one might wonder as to the practical use of time cloaks. What could they be used for? In a circuit, the faster flow of electrons might cause an unintended output from a given set of logic functions. This assumes that the transistors could switch fast enough to operate with higher speed particles. Silicon transistors may not work, but there is an alternative. Recent reports from IBM show that graphene switches can reach speeds of 100 gigahertz–meaning they can switch on and off 100 billion times each second, about 10 times as fast as the speediest silicon transistors. That should be fast enough for our theoretical time cloak particle experiment. The next challenge is to create a circuit with two logic flows – one for normal speed and another for faster electrons. The faster electrons would complete their logic functions before the “normal” logic was finished. To what end, you ask? Perhaps to completely disable the rest of the circuit? This might be a problem if the circuit was part of the communication system for a fighter jet. Of course this scenario is not that new. Many have suggested that RTL could be added to circuits just prior to fabrication in a foreign foundry to achieve the same dangerous result. (see, “Foreign Fabs and Killer Apps”) But with a time cloak, the “hidden” circuit would not be hidden at all or even added in secret. It would be there for all to see but completely undetectable except when the “time cloaked” faster electrons were activated. Unfortunately, this scenario of a particle-based, digital time cloak is fatally flawed. An astute first year student in engineering would be able to spot the flaw in short order. Can you? I’ll post my answer in the next blog. You are currently browsing the JB's Circuit blog archives for January, 2012.